TENANT OCCUPIED. 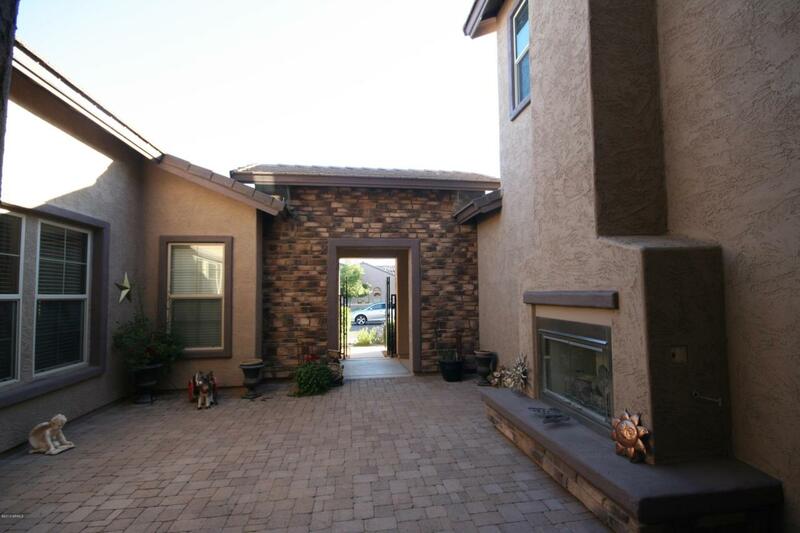 Premiere street of homes in Canyon Trails. Loaded with upgrades. 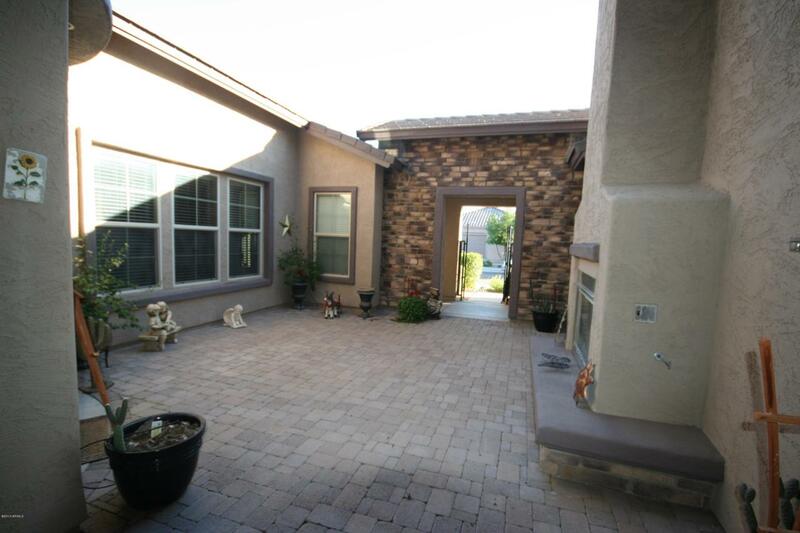 You'll enjoy cool nights in your private gated courtyard with pavers & gas fireplace! Grand circular entry with 22' turret! Formal living / dining room and bonus room/home office. 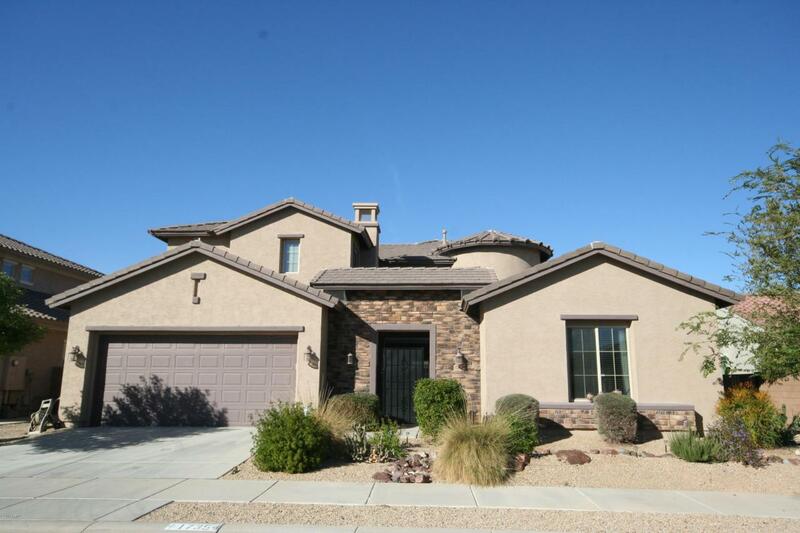 Large family room has tile floor, ceiling fan, slider to backyard and is open to the eat-in ''Chef's Gourmet Kitchen'' with stainless appliances, double ovens, micro, smooth cooktop, island, breakfast bar, granite counters, upgraded over-height cabinets, walk-in and a butlers pantry! Separate eat-in area. 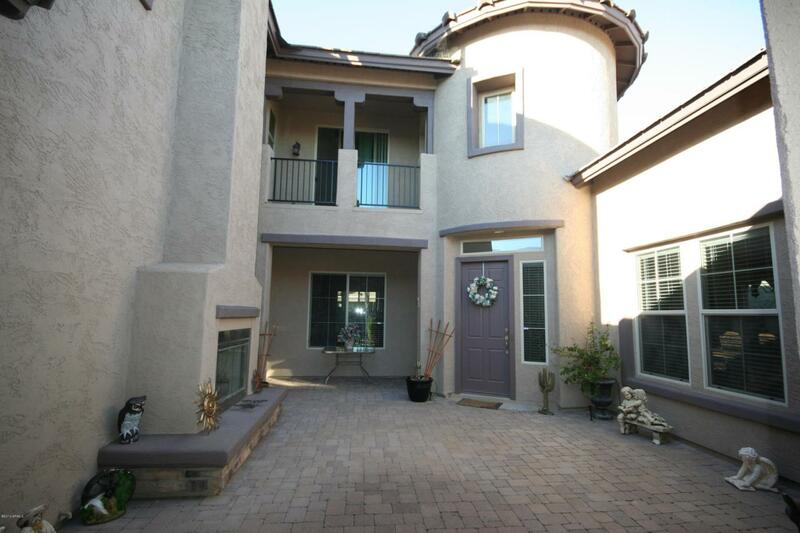 First floor master suite has doors to the patio, huge walk-in closet, 2 sink/vanity areas, large soaking tub, shower & more! Relax in your own resort backyard paradise.